For air filter replacement Walnut Creek drivers can trust to last and be done right the first time, call on Central Automotive Service Center. You have a variety of options for filter replacement, so when you come to us, you should expect nothing less than spectacular service. Our ASE and ASE Master Certified technicians will perform your filter change quickly so you can get back to your daily routine with minimal downtime. 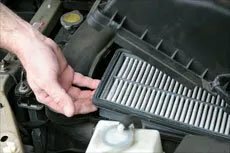 It’s vital to your car’s health to make sure you get regular car maintenance like air filter replacement. Walnut Creek is populated by a number of commuters, and we feel it’s important for those commuters to have safe and functional cars. Not only do filters reduce the allergens in your car’s cabin, they can also affect your heating and cooling system. Having a filter replacement whenever necessary will keep your vehicle running optimally. In addition to these services, we also offer oil changes, transmission service, tire rotation, and more. There are many dealerships that provide such services as well, but they can be expensive and impersonal. Our shop services multiple makes and models, so all of the family cars can come to one convenient location. Regardless of whether you need a major repair or an air filter replacement, our Walnut Creek garage has you covered. Working with an independent garage will give you a level of personalized care that you just won’t find anywhere else. Our technicians work hard to keep up with all of the newest automobiles and their care, and we insist on keeping our shop updated with the latest equipment. For all of your air filter replacement needs, you can find us in Walnut Creek where we service all of the surrounding areas. Give us a call any time!